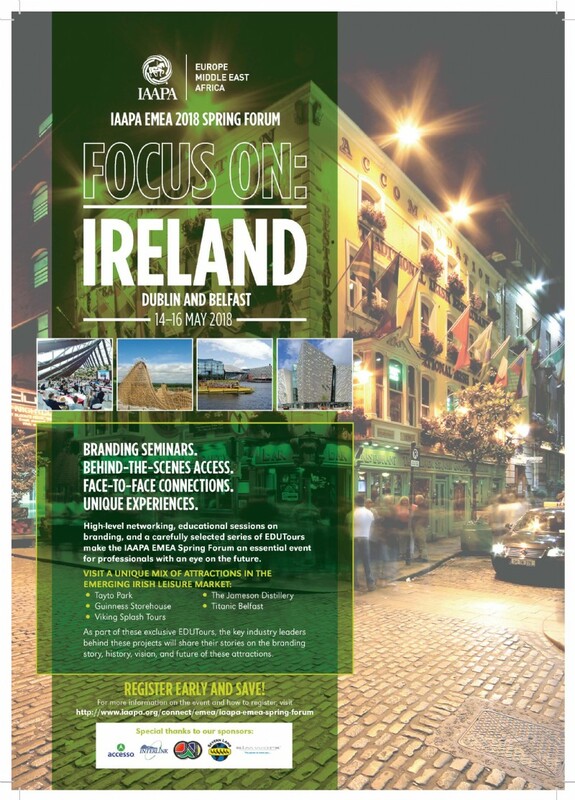 Severn Lamb are proud to be official sponsors of this years IAAPA EMEA Spring Forum in Dublin, Ireland, May 14-16 2018. Join industry colleagues from all over the EMEA region for a unique opportunity to network, learn and experience a close-up look at the attractions of Dublin, Ireland. In attendance will be Managing Director Patrick Severn Lamb and Sales Executive Robert Boyce. Early bird registration is open until March 31 and is €300 for IAAPA members and €375 for non-members.